to wish for Dr. Johnson's conversation, extolling it in terms which that of no other person could have deserved, till we were only in doubt how to obtain his company and find an excuse for the invitation. Henry Thrale was a sensible, unassuming man, whom Johnson loved and esteemed, and who returned Johnson's attachment with the sincerest regard. — The Diary and Letters of Madame D'Arblay, Volume 1, Frances Burney. 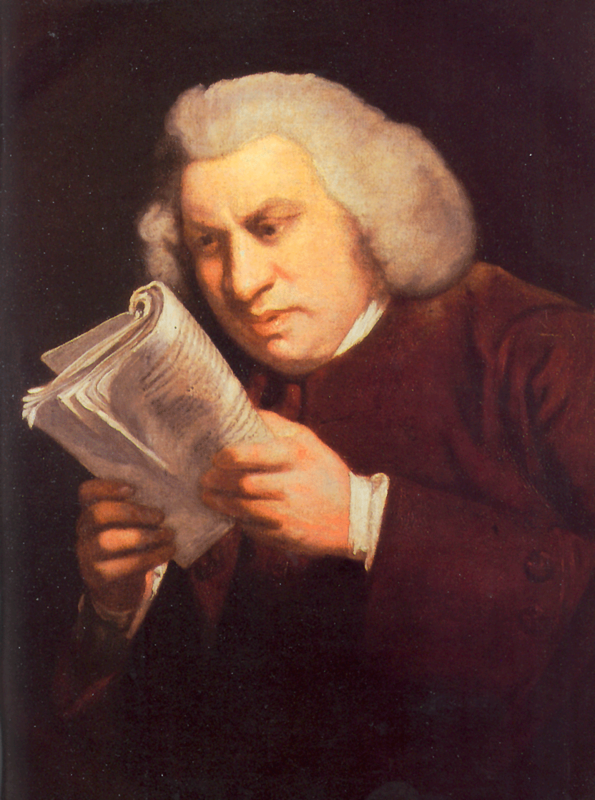 Ten years after his single-handed production of his epoch making English dictionary, Samuel Johnson was introduced on to the Thrales on the 9th or 10th of January 1765, invited to meet a young shoemaker who was also a poet. The evening was a success and every subsequent Thursday night during the winter of 1764-5 Johnson was a guest of the Thrales. The friendship continued until the summer of 1766, when following a very severe bout of depression, Johnson spent four months recuperating with the Thrales at their Streatham country house. From this time until 1782 there was always a room set aside for Johnson's use at Streatham and at Brewery House, where he usually stayed in the middle of each week, reserving Friday for his literary club and staying the weekends at his Fleet Street house. Her colloquial wit was a fountain of perpetual flow. After this, Johnson became a part of the Thrale household and Streatham Park became a country retreat for a wide intellectual circle. Johnson was the lion-in-chief. The witty and the eminent who assembled in numerous companies. On Wednesday I dined at Streatham … We had a most elegant dinner, and the best of all feasts, sense and wit and good humour. Mrs Thrale is a woman of very superior understanding, and very respectable as a Wife, a Mother, a friend and a Mistress of a Family … Mr Thrale has a fruit garden and a kitchen garden that may vie with the Hesperian Gardens for fruit and flowers. Where will you find such another set? Oh, Fanny, set this down as the happiest period of your life. One great abatement of all miseries was the attention of Mr. Thrale, which from our first acquaintance was never intermitted. Johnson also wrote about Hester Thrale on the occasion of her thirty-fifth birthday and he later wrote a Latin Ode to Hester Thrale. 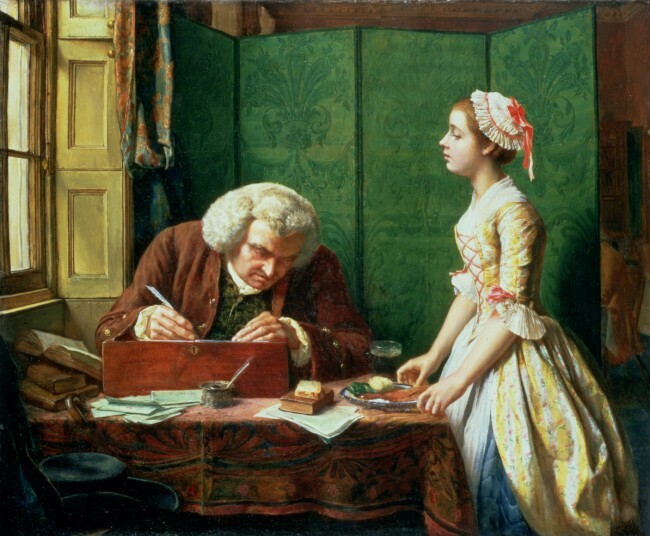 I am trying to confirm our family's genealogical connection to the family of Dr. Samuel Johnson's, who was quoted on your web site. I wondered if you, by any chance, are in contact with any group or individual who if knowledgeable on the history of the William Johnson family of Cubley, Derbyshire? Any help would be most gratefully appreciated. Boswell's Life of Johnson Says that Samuel was the first son of Michael Johnson and Sarah Ford. Michael was born in 1656 in Cubley Yorkshire and died at Lichfield in 1731. Sarah Ford was born at Kings Norton in 1669 and died at Lichfield in January 1759. Beyond that I can't help. However, on this forum are two or three messages from people that run Samuel Johnson websites, and I'm sure that they will be able to assist. Do let me know how you get on. I have just started a site for the Johnson Society (Lichfield). I have put Thrale.com on our site as one of the links. I hope that this is in order. I would be grateful if you would include us in your links. I hope that your institution is flourishing. We must read what the world reads at the moment.....It must be considered that we have now more knowledge generally diffused; all our ladies read now, which is a great extension.